I am a four letter word, you use me now and then. Add one more letter and I become a small body of water, then take from that word to become what you can call your sibling. What Word Am I? 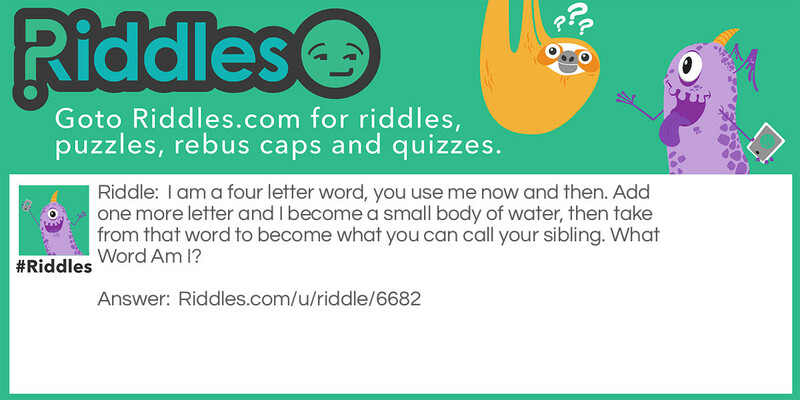 Power Word Riddle Meme with riddle and answer page link.